David DeLaRosa is VP, deviceWISE Industry 4.0, leading the technology and business development for an industrial Internet of Things platform that connects and integrates manufacturing equipment and remote assets with enterprise systems and business applications. David has over 30 years of experience in automation software engineering and design. 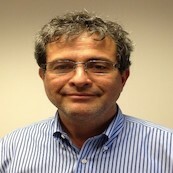 He joined ILS Technology (which was acquired by Telit in 2013) in 2001 after 15 years with IBM in Boca Raton, Florida, where he served as a systems designer in the automation space. David holds a BSEE & MSE from the University of Central Florida.